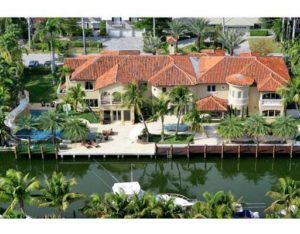 Fort Lauderdale Luxury Homes For Sale in Broward County are in the most esclusive sub-divisions in South Florida. Areas off of Las Olas, Coral Ridge, Idelwyld, Las Olas Isles are just some of the areas for these gorgeous luxury homes. I’ve grouped the Fort Lauderdale Luxury Homes for sale below in price ranges. Most of these luxury homes are on the water, but some may not be. Luxury Homes in Fort Lauderdale are located in the southern and northern areas of Fort Lauderdale and in between giving home owners a choice of living where the action is, close to Las Olas Blvd or downtown Fort Lauderdale with access to numerous restaurants, cafes and night life within blocks. There’re Fort Lauderdale Luxury homes for sale for everyone. Luxury is defined as something adding pleasure or comfort but not absolutely necessary, an indulgence. While living in a Fort Lauderdale luxury home means different things to different people, the views, landscaping and tropical atmosphere are an indulgence and a pleasure that few can partake in. Click on the links above to start your search for Fort Lauderdale Luxury homes for sale.